Barrenness affects everyone in our families, possibly no one more than our parents. In our barrenness, they, too, are barren. My father lovingly penned this, and he gave me permission to post it for all the other dads out there who may be grieving for their barren daughters. He wants you to know that you are not alone. I have just been sitting here looking at the picture on the cover of the book He Remembers the Barren. Such a haunting picture that seems to cut clean to your soul. How much pain must be associated with barrenness and the loneliness that follows? How can you console someone with such grief as depicted in that picture? Since I am a man of 60+ years with married children and grandchildren, you would think that I would not find this such a haunting subject. I come from a large family with many brothers and sisters, and my mom comes from a large family. As a result, I have several aunts, uncles, and cousins. I remember growing up and realizing that several of my cousins were adopted, but, being young and living in an era when no one really talked about that kind of stuff, I had no idea why. I am now much more knowledgeable about problems of infertility and what kind of an impact they have had on my aunts, sisters, nieces, and, yes, my daughters. I am also very aware that those medical issues may have been passed down through my mother’s side of the family. So, why am I haunted by my daughter’s book and the picture on the front of it? My daughters, who have been the pride of my life and for whom I would gladly die, are now faced with this pain. Even those with children suffer along with the ones who can’t have children. We have had so many years of fun times, family outings, adventures, and just the joy of being together, and we still do. So, why must such near-perfect times be strained by such pain? Is this all my fault? I am no theologian, no great Lutheran thinker, not even a good Christian, but I do know this: Sin is the problem, and God has taken care of that for me. I keep remembering the part in C.S. Lewis’s book, Till We Have Faces, where the main character wants to ask God all these questions, and, when she finally gets to stand before God, all she can do is look at His face and realize that before Him there are no questions. I look forward to the day I get to stand before God as one of His children and realize there are no more questions. 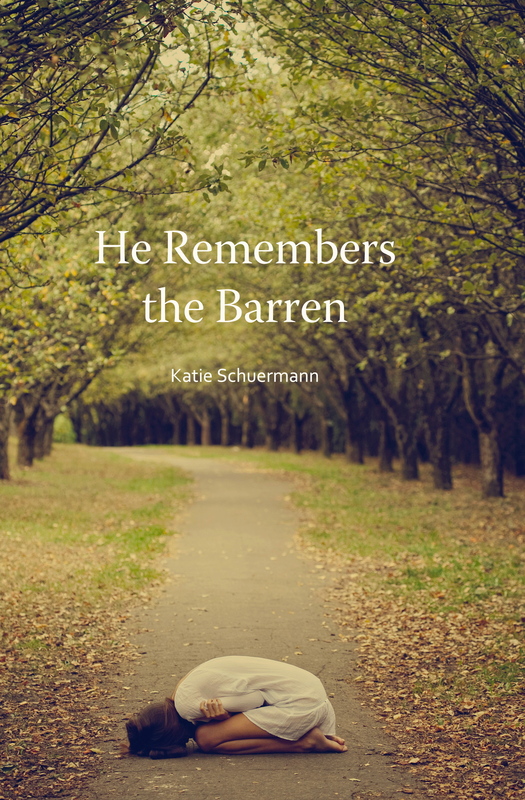 Posted in Grief, Infertility, Men on July 25, 2011 by Katie Schuermann.